A former FBI agent testified that he directly traced millions in bitcoin to the personal computer of the man accused of running the underground drug website Silk Road, but privacy advocates continue to raise concerns over how the evidence was gathered. According to testimony from former FBI agent Ilhwan Yum on Thursday, more than 3,760 bitcoin transactions were traced directly from Silk Road servers to Ross Ulbricht over the course of 12 months ending in August 2013, Wired reported. 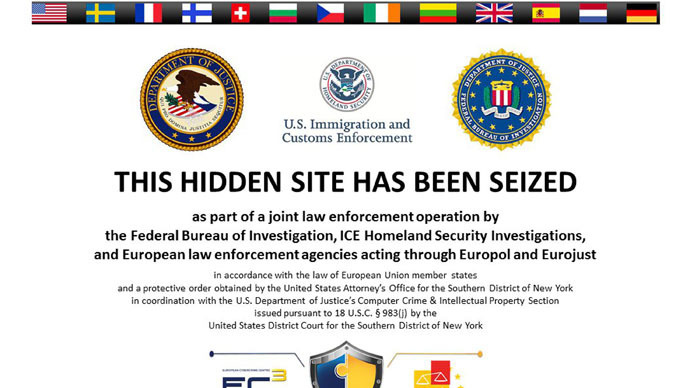 The digital currency was used to make illegal drug transactions on the underground website, which the government says was created and run by Ulbricht. Overall, Yum told a federal jury that the transactions amounted to $13.4 million, and that the overwhelming majority of the bitcoins found on Ulbricht’s computer came from Silk Road servers. Since the transfers were ongoing for more than a year until August 2013 – about two months before Ulbricht was arrested – the testimony seems to deal a significant blow to the defense’s claim that Ulbricht’s connection to the website’s black market dealings is tenuous. Ulbricht’s defense team has acknowledged that he did, in fact, create the website in 2011. However, it argues that Ulbricht quickly gave up control just a few months after it was completed, only for him to be brought back into the operation as part of an effort to frame him. During his cross-examination, defense attorney Joshua Dratel asked Yum whether it was possible that Ulbricht only used the Silk Road server as a wallet for his bitcoins, but the former agent said this was unlikely. Yum’s testimony follows that of a one-time programming friend of Ulbricht, software engineer Richard Bates. Last week, Bates told jurors that Ulbricht confessed in real life to designing “a website where people can buy drugs.” Bates said Ulbricht would occasionally solicit coding advice from him, but that Bates eventually refused to help unless Ulbricht told him what he was working on. Bates was also arrested by authorities and agreed to testify to earn leniancy. Prosecutors have also presented a journal found on Ulbricht’s laptop that describes the website’s creation. Still, it’s unclear whether or not the government can sufficiently prove that Ulbricht is, in fact, “Dread Pirate Roberts” – the name used by Silk Road’s administrator during the timeframe that the government claims Ulbricht aided in the trafficking of illegal drugs. Ulbricht has consistently denied using this name online. Silk Road judge addressed Ulbricht directly at end of court day today, and gave him until Monday to decide if he'll testify. While evidence in the trial continues to be presented, civil liberties advocates keep raising red flags over the fact that the government won’t say how it obtained any of its evidence against Ulbricht. Last year, the defense argued that Ulbricht’s Fourth Amendment right against unreasonable search and seizure was violated when the government traced his computer to a Silk Road server in Iceland, even saying that federal agents illegally broke into the server without obtaining a warrant. As a result, it wanted all evidence gained through this method to be scrapped. In court, a judge ruled that regardless of whether or not the FBI hacked the overseas server, Ulbricht did not suggest or demonstrate that the server actually belonged to him. Therefore, the court could not entertain the idea that his constitutional rights were violated. The government also argued that since the server in question was in Iceland, it is not protected by the Constitution. Essentially, the government claimed that investigators don’t need warrants to search overseas servers. Alex Winter, director of an upcoming documentary on the alternative internet, called ‘Deep Web,’ said Ulbricht’s trial could have some serious consequences for journalists and dissidents using the internet to do their work. John Bush, a journalist at The Liberty Beat, echoed Winter’s concerns, saying the result of this trial is very important.